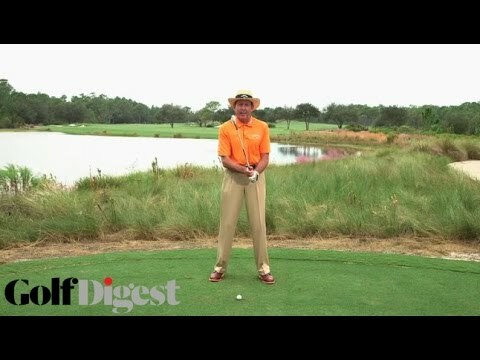 Learn why Fred Couples has one of the most timeless and effortless golf swings in the history of the game. I often get asked in my lessons by pupils, “Should I take a divot Pete? do I need to be hitting down and taking a divot like I see the guys in the T.V doing? Well it’s often very specific to the type of shot that you are playing. Clearly when you are hitting a driver and you’ve got a ball upon a tee peg, there is no divot there; there certainly shouldn’t be a divot. Maybe you’re playing a three wood off the deck or a long iron or hybrid club off the deck, and again not much of a divot there. We play the ball nearer to the front side and we take less of a divot. If you’re taking a very short time let’s say pitching ways nine nine, you play it back in the middle of your stands you should hit down and therefore you should be taking a divot. The divot would be the size of a 1 dollar bill, and it would be placed left of center for the right-handed golfer, never a divot on this side here. When we look at hybrid golf clubs, hybrid clubs are built slightly differently. They don’t have the sharp leading edge and a narrow profiler of an iron club that’s designed to hit down and dig. A hybrid golf club is built with a curved face, with a little bit more off set and with a lot more of bulbous bottom to it here. So plays a lot more like a three wood or five wood. So when you’re playing your hybrid clubs, don’t be temped to smash down into the floor and try and gouge out a big divot. The hybrid club is a lot more about the sweeping angle of attack. So we you play the ball left of center, we sweep down through the impact area, the hands can feel like they’re level or maybe just a degree or two ahead and the body weight is a little bit more central. So it’s designed for players that aren’t so aggressive and so downward striking. That was well for irons but not for hybrids. So we sweep the ball up into the air. We don’t take a massive divot but we still get a nice high fly, because a lot of the weight of the hybrid club is positioned underneath to fly the ball up in the air. So if you’re a big gouger and you like taking divots, irons are going to be good for you up until you get to your long stuff. 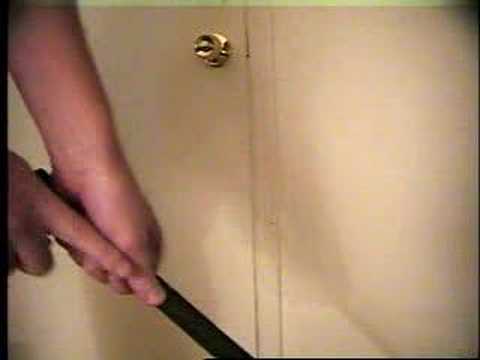 But if you’re not a big divot taker and you don’t hit the ball far enough or high enough for your liking, maybe consider some hybrid golf clubs with the bulbous bottom, they also [Phonetic] [0:02:16] had a nice light weight shaft and practice sweeping them up in the air for better results. 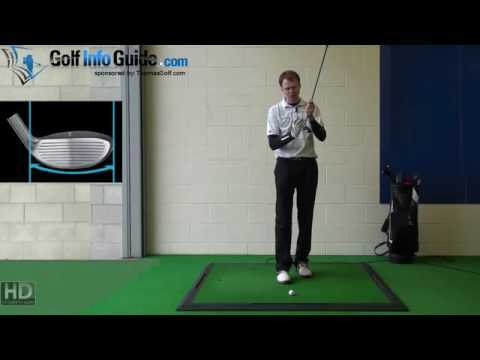 Left Handed Golf Series – My Best Driver Practice so far…..! 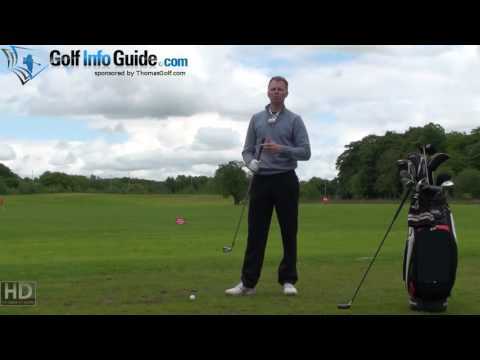 By Far my best and most successful practice session so far…..
Watch Instructional Videos, Read My Blog, and Discuss Your Game at: The Gateway To Better Golf In this golf lesson golf instructor Steve Bishop discusses some more details about the position of the left thumb on the shaft and the roll it plays in the golf swing. 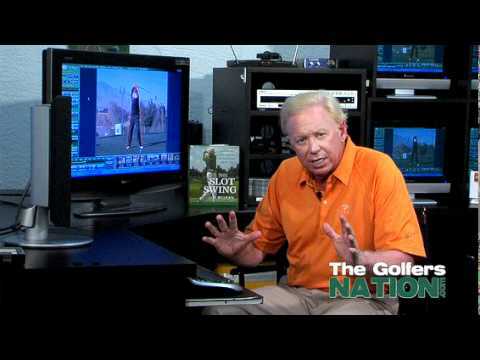 In this golf lesson golf instructor Steve Bishop discusses some more details about the position of the left thumb on the shaft and the roll it plays in the golf swing. So if you are stuck between long irons vs hybrids, or maybe you’ve got both in your bag and you are not quite sure when to use them. Let’s have a look at a few different options when we can use the hybrid club and when we can use the long iron out on the golf course. The first thing, let’s consider a forced carry. So forced carry, by that I mean an obstacle in the way that makes you play over it. It might be bushes, long grass or even just a pond that you’ve got to clear. So generally speaking if you’ve got to get something up in the air and clearing something, you’re probably going to be looking more towards your hybrid club. The nature of a hybrid club is a bit more loft, softer flex shaft, weight low and deep. It’s going to fly the ball up in the air with a bit more backspin. That’s going to help you clear the obstacle you’ve got to get over. So if there’s a certain hole or holes on the golf course where you need to carry it nice and straight over an obstacle, your hybrid club might have better suited for that. The next option we might have is when we’re playing into the wind. Now generally speaking when you are playing into a headwind or even a crosswind you are going to want to keep the ball down and keep it low. Potentially trying to keep it under the line of the tree so it doesn’t balloon up in the air and it penetrates through the wind. So that’s going to be better played with a long iron. So the loft is a bit less, the weight is a little bit higher up in the club head. It’s not low and deep. It’s not going to spin the ball too much up in the air. Potentially you could put a heavier or slightly stiffer flex shaft in the long iron. That should encourage the lower, more-penetrating ball flight. So the long iron works better when you’re playing into the wind. Then the last option might be playing into a par 3. Now generally speaking when you are playing into par 3s, you are going to probably find them sort of covered around the front with hazards, maybe a pond, or a bunker or a slope at the front. So we got to try and carry over that slope or over that hazard and land it on the green. But then we want the ball to stop on the green. So to get the ball to stop on the green, we’re going to want to use a mixture of good trajectory coming down and a bit more backspin. So that would point back to a hybrid club that’s going to give us that higher flight, high trajectory, soft landing on the green, whereas maybe you would feel that the long iron when that comes down on the green, it’s going to shoot off the back a little bit too much. So consider how you could use a mixture of your hybrids and your long irons to play in those three different situations on the golf course. 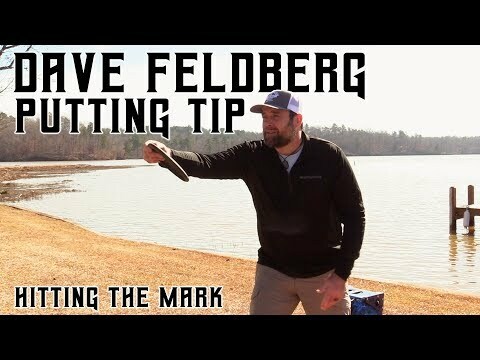 Dave runs through a quick tip to improve your putting. Let us know in the comments if this helped you! 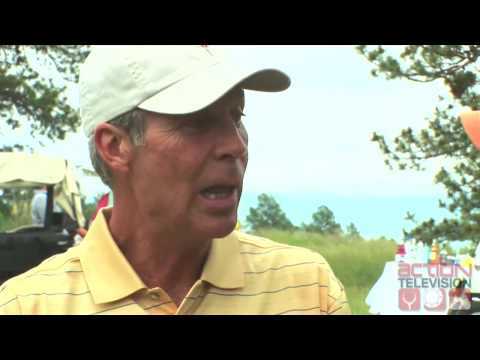 Hear Ben Crenshaw as he talks about having better putting technique and improving consistency by loosening your grip. By being natural and yourself, you will improve your putting pace and in turn make you a better putter.